The photo which was taken from a night club which emerged online few hours ago, has gone viral on social media. 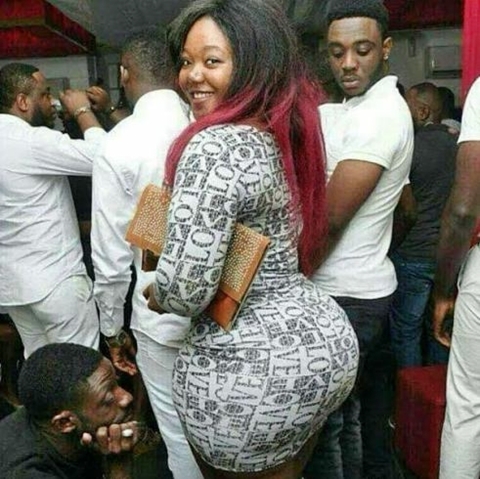 The viral image show how some men caught on camera starring seriously at the massive backside of a woman who is seen smiling at the camera. The woman identity is still unknown as at the time of filing this report.